When thinking of wildlife in the Blue Mountains, or anywhere really, bats can be easily overlooked - they mainly fly at night, some are very small and bats don’t get talked about much compared with birds and other mammals. With a long history of folk tales and legends featuring bats, some people even find them a little creepy. But bats are a very important part of the local ecology, with 21 species living in the Greater Blue Mountains area – the most diverse of all mammalian groups and making up more than a third of all native mammal species. 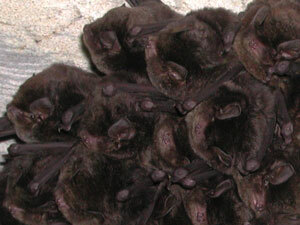 Seven of these bats are listed as threatened in NSW. Even the Gardens of Stone Stage 2 proposal area (of just 39,000 hectares) has 19 species. Small bats can often be seen on at dusk on the edge of the bush and around street lights, fluttering about to catch tiny insects on the wing. Have a look tonight! Bats (order Chiroptera) have been classified into two groups: microbats (suborder Microchiroptera) and megabats (suborder Megachiroptera). However recent genetic studies are challenging this division by including horseshoe bats in with fruit bats (also known as flying-foxes). 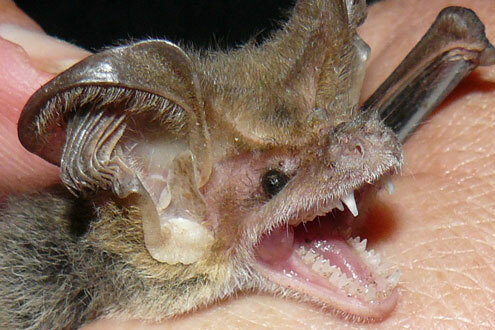 Microbats are carnivorous and use echolocation to find their way around and hunt prey (mostly insects). Because they are so small, they need sheltered places to roost and keep warm, like caves and tree hollows. The Blue Mountains provide excellent habitat for many insectivorous bat species, with large expanses of undisturbed forest for roosting and foraging. The many sandstone cliffs provide a multitude of cracks and crevices for bats such as the rare Large-eared Pied Bat (Chalinolobus dwyeri). 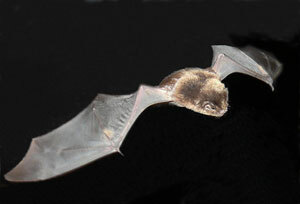 The limestone areas within the region, such as Jenolan Caves and Colong Caves also provide essential microhabitat for the Eastern Bent-winged Bat (Miniopterus orianae oceanensis) and the Eastern Horseshoe Bat (Rhinolophus megaphyllus). The early history of coal mining in the region has also provided excellent habitat in the now abandoned mines and tunnels. Megabats are herbivorous and mostly do not use echolocation. They use their large eyes and sense of smell to locate food. Fruit bats are intelligent and usually live in large, tree-roosting colonies that move around according to food supplies. The two local species are well known for raiding orchards and gum blossom in the Blue Mountains. 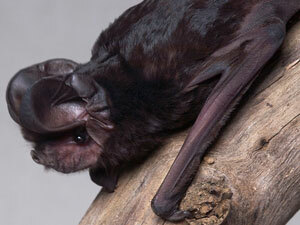 Being native mammals, bats are protected under the National Parks and Wildlife Act 1974.